Three early fouls forced Jackson Bauer to the bench midway through the second quarter. 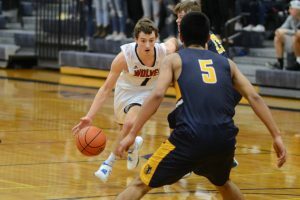 As the lone senior on the Black Hills High School boys basketball team this season, Bauer’s presence on the court is a must for the younger Wolves squad. There are two enormous reasons for this being the case. First, he brings some much needed veteran leadership to the team as no current player has been with the program for as long as Bauer. 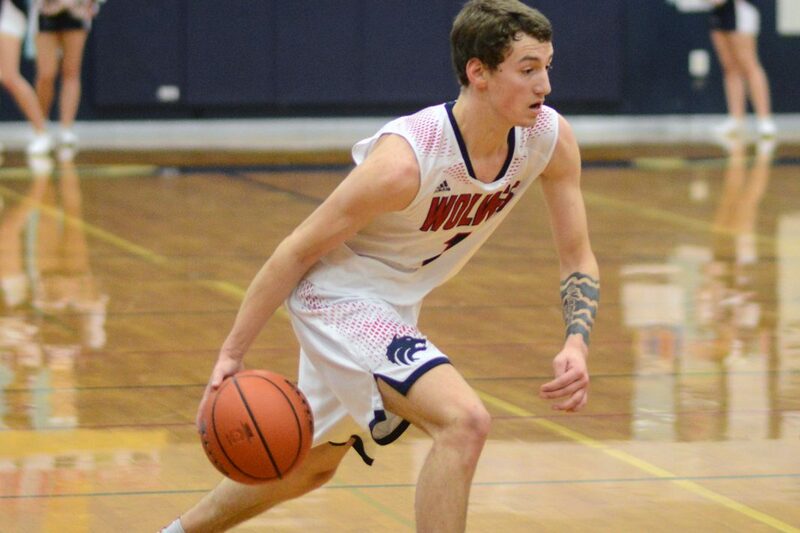 Second, he’s without question one of the best players in the 2A Evergreen Conference. So watching the action from the bench was the last place Gallagher wanted one of his top players to be during a pivotal conference showdown with a hot Aberdeen team. Years before, should a similar situation surface, Bauer would internally fume whenever he was pulled from a game because of fouls, dwelling far too long on whatever call he was whistled for. It would stick with him, getting into his head so much that when he finally returned his play would be sloppy and unfocused. Bauer knew he couldn’t be that player this season. Not when he is asked to do so much as the only senior on the roster and certainly not considering the Wolves are in the hunt for their first conference title in school history. This time around, against visiting Aberdeen, Bauer used his time on the bench in the first half to dissect and analyze the play on the court instead of stewing about his current foul situation. He sat there calmly, piecing together what he could do in the second half that would gave his team the best chance to win. 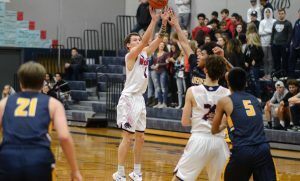 Bauer simply took control of the contest late in the third quarter against Aberdeen, hitting a trio of 3-pointers in the final 2 minutes with the final one coming as the buzzer sounded to help the Wolves turn the once-close contest into a 17-point rout. But the mental side of the game isn’t the only aspect the 6-foot guard has improved on during his final season, according to Gallagher. Few can argue with that statement following Bauer’s recent performance against W.F. West as he scored a game-high 25 points and pulled down 10 rebounds in the Wolves’ 68-61 victory over the Bearcats to remain undefeated in 2A Evergreen Conference play. The victory helped exorcise some demons for Black Hills as W.F. 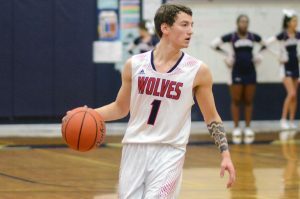 West ended the Wolves’ season last year on a last-second buzzer beater in a game that decided the district’s third and final state playoff berth. The Bearcats parlayed that win into an incredible state playoff run that saw them advance to the state championship game. The heartbroken Wolves were left wondering what if. With Bauer leading the charge, Black Hills, which is determined to write a different ending to this season, has shaken off a 3-6 start to take control of the EvCo.